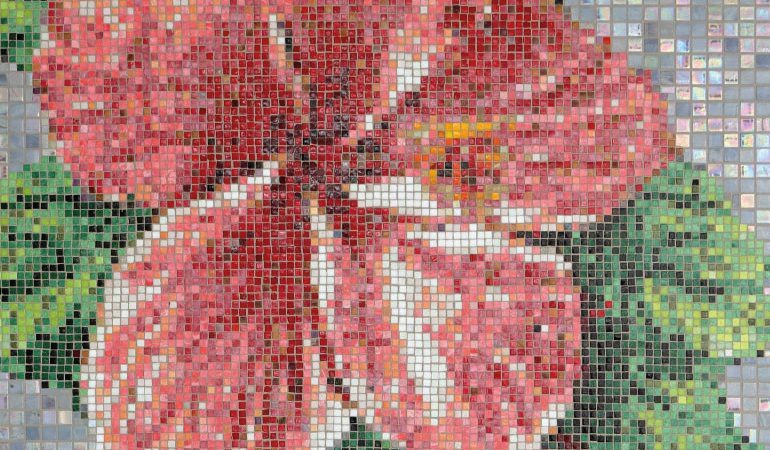 This image demonstrates that v12 mosaics do not require cutting and can be used with digital images. Firstly, a digital image to scale is required (if you wish, our studios can provide support both at this stage and with the final project by providing a preview to scale and, if required, a quote for the scanned image to scale or mural size). 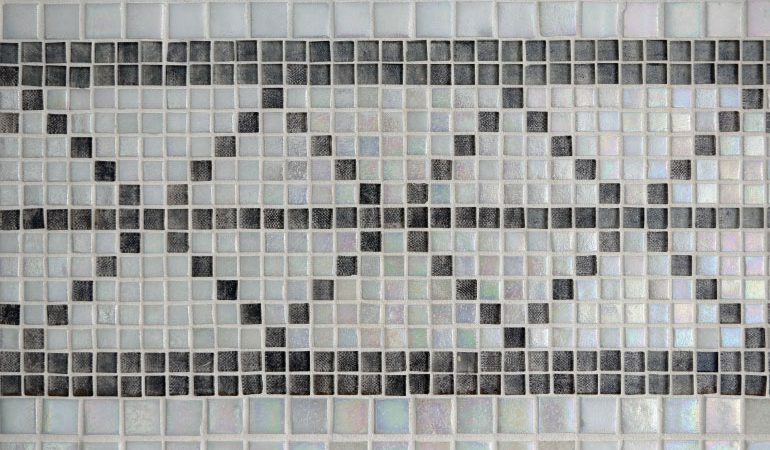 View our latest techniques including our digital mosaicing technique at www.mosaicosvenecianos.com to. 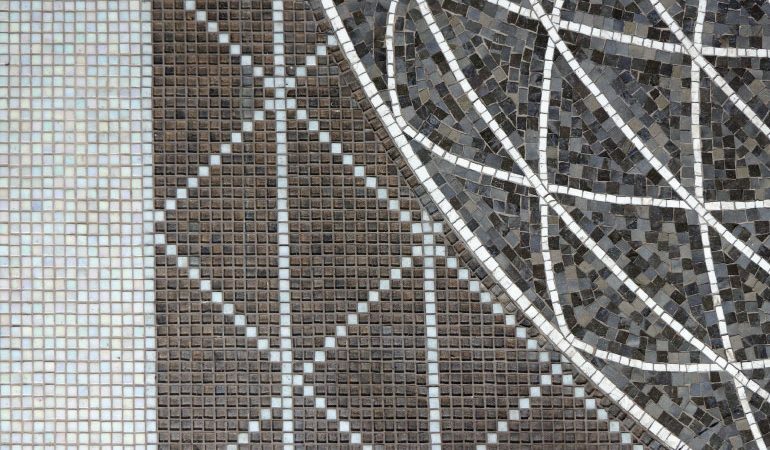 The photo demonstrates a combination of Mosaicos Smalti (www.mexicansmalti.com.mx) and Mosaico Veneciano v12. As mentioned in previous tips, it is important to use a thick mortar bed particularly for floors and other similar installations because of the differences in thickness. 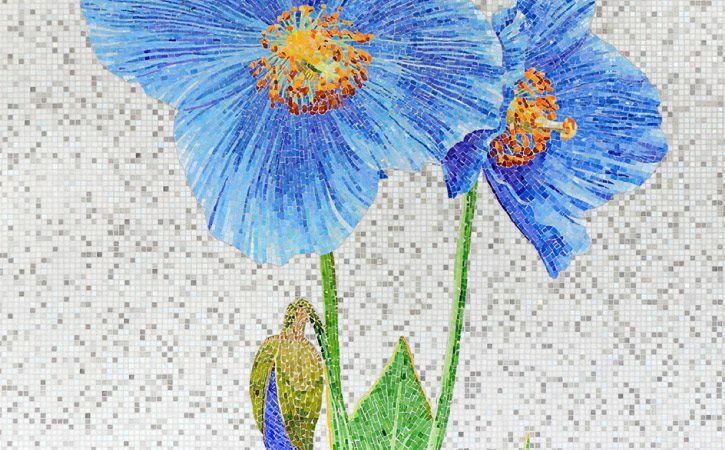 Mosaico Veneciano v12 can be cut to make detailed murals as well as combined with other mosaics such as Smalti (see www.mexicansmalti.com.mx) to obtain more intricate detail or a broader range of colors, as in the photo of the blue flower. Please take into account that Smalti are thicker and therefore require special glass cutters (included in the small collection bag) for optimum cutting. It is also important to allow for this extra thickness by carrying out the installation on a medium or thick mortar bed. In this photo Mosaico Veneciano v12 and Mosaico Kolorines v20 are combined. Although a combination is possible, we suggest it is made on straight (not pixelated) backgrounds given that the measurements are not multiples, as shown in the photo.